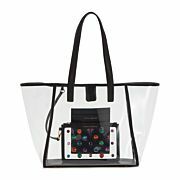 Introducing the Dina Tote. 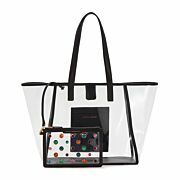 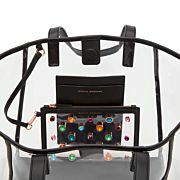 A clear vinyl tote bag finished with black leather trim and detachable pouch embellished with multicolour gems. 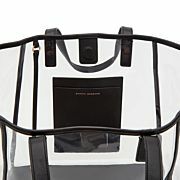 Perfect to take on holiday.